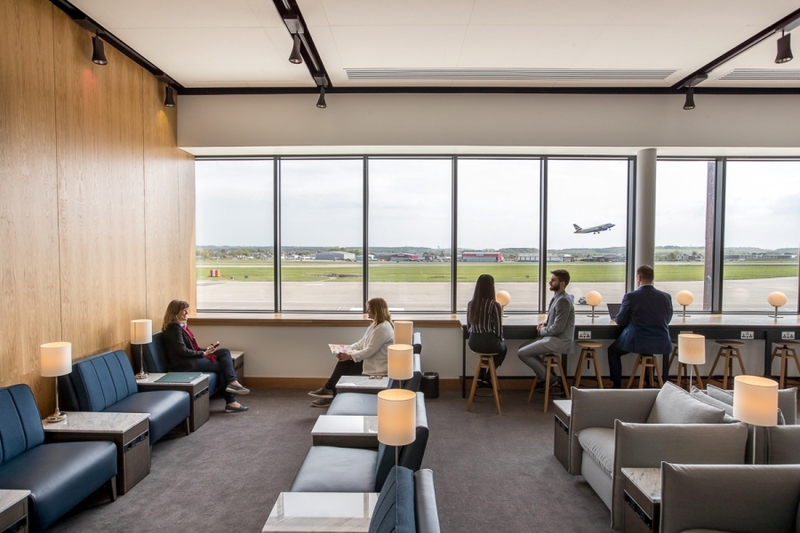 ABERDEEN Airport is now a top-flight destination, thanks to an impressive new BA lounge – built by Pacific. 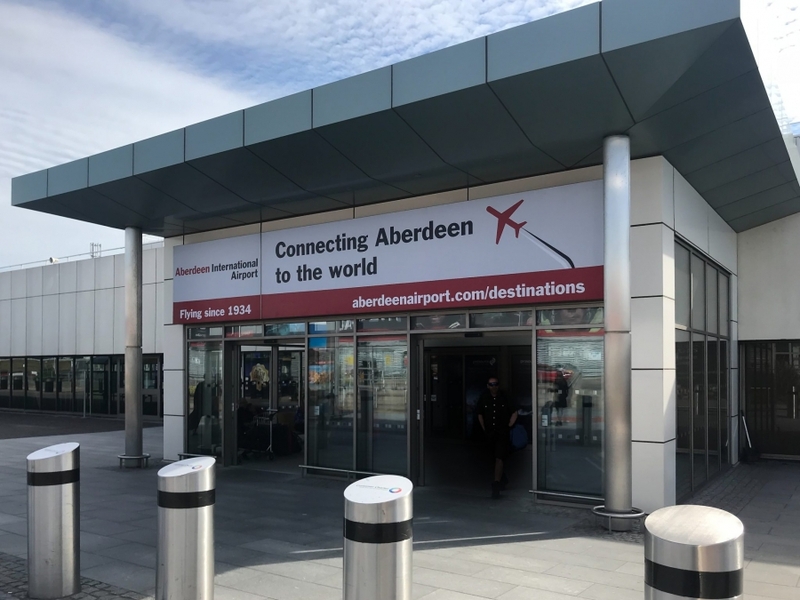 Fashioned from an empty concrete shell on the first floor of the terminal at Dyce, on the outskirts of the city, the lounge is fresh, modern and generously sized. 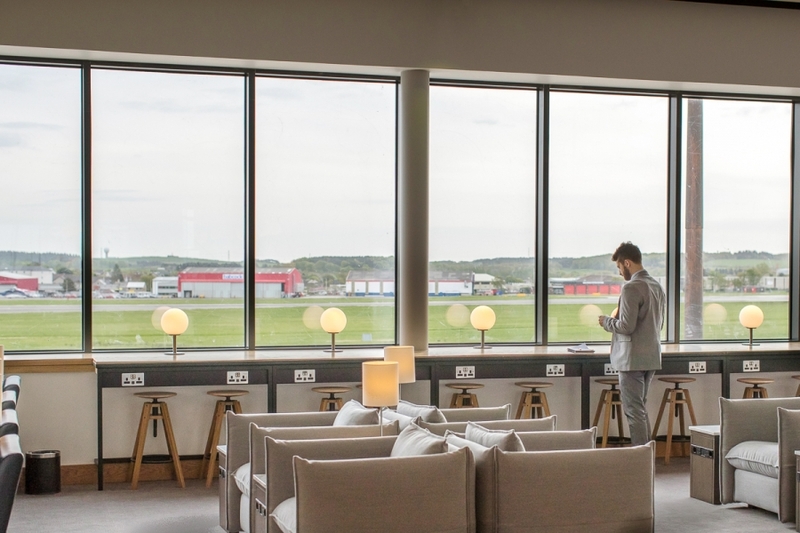 The Granite City airport’s new lounge boasts – naturally – a granite-topped bar, dining area, separate seating areas with stools and chairs, coffee tables, washrooms, buffet restaurant and deep windows that afford exceptional views of the runway. 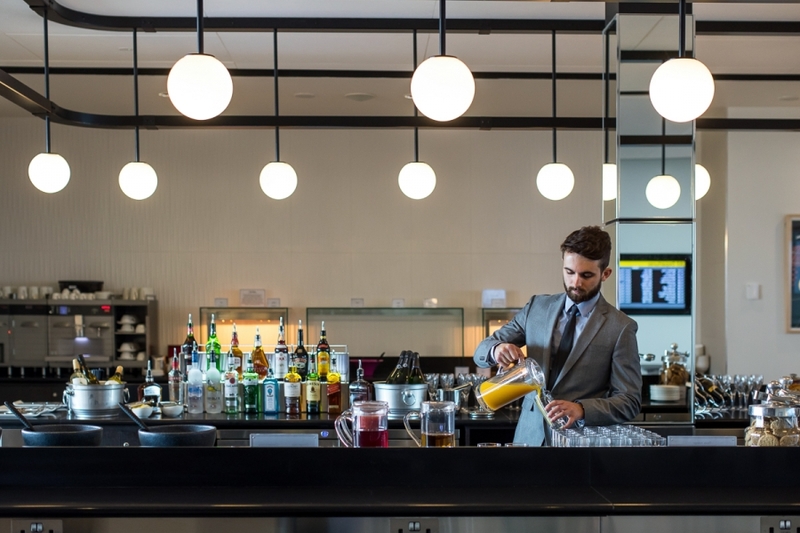 Widely regarded as one of the best lounges of its type in the United Kingdom, Pacific drew on their extensive experience of working at airports to complete the project in just 16 weeks. 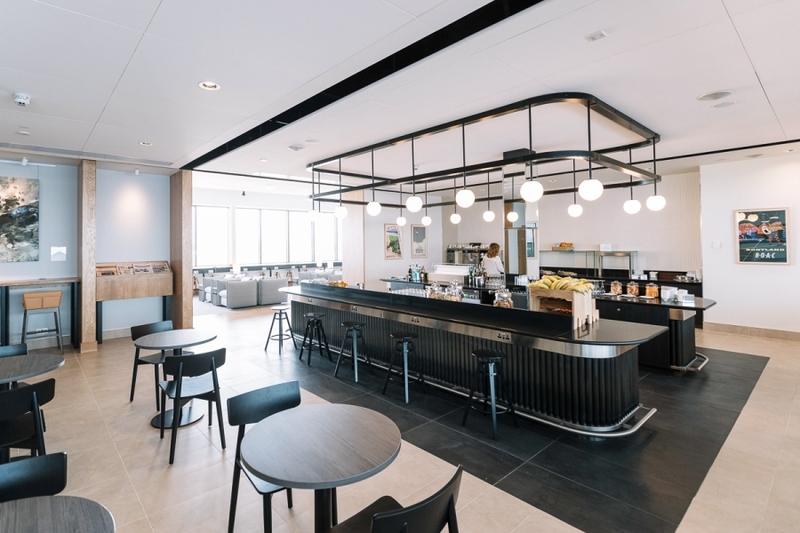 The lounge is the second to open under BA’s £4.5billion new design concept after a similar one was created at Rome’s Fiumicino Airport. It covers 380m2 and comprises two zones – one allowing passengers to enjoy quick access to amenities (food, drink and toilets) and another for longer stays, with seating overlooking the runway. Aside from the bar, which is identical to the one in Rome, bespoke furniture and fittings abound, including feature walls, lighting and marble-topped tables. It also features local artwork from the airline’s Art Collection, including The Long Winding Shores by Maddie Rose Hills inspired by Kinlochewe in the Highlands. 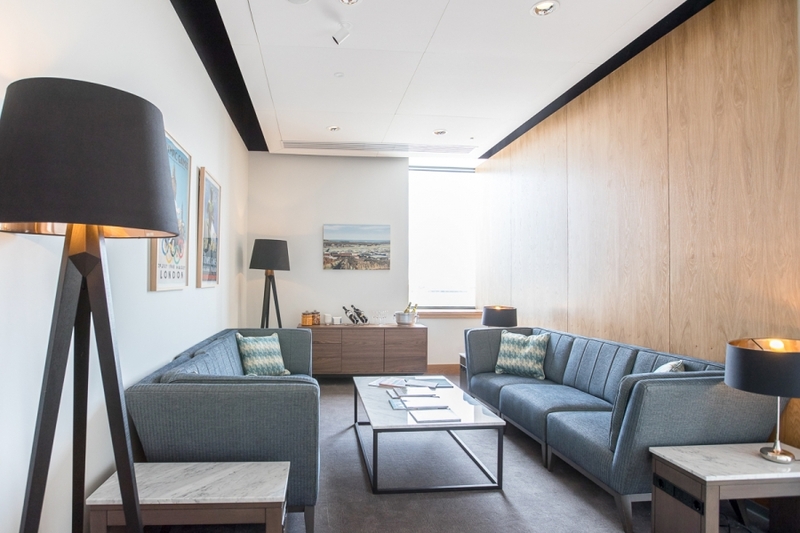 After the handover in the middle of May, 2018, Sarah Klatt-Walsh, British Airways’ Head of Product, said: “Our new design concept has been created to make better use of the space in our lounges, while still making it feel contemporary and luxurious. “We have focused on technology, offering complimentary WiFi and ensuring there is plenty of access to USB and power points, enabling customers to work, surf online and charge personal devices. Passengers travelling on early morning flights from Aberdeen – where BA operate eight services a day to Heathrow – will be able to enjoy the local breakfast delicacy, the rowie. 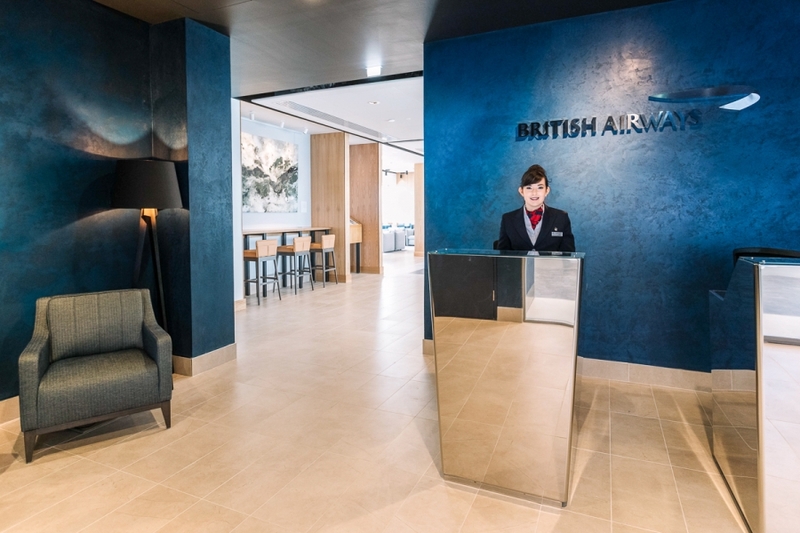 British Airways’ New York JFK Terminal 7 will be the next lounge to open under the new design concept, with improvements being made there to the customer experience at check-in. The airline also has further investment planned in Geneva, San Francisco, Johannesburg, Chicago and its lounges at Heathrow. British Airways is investing £4.5 billion for customers over the next five years, including the installation of the best quality WiFi and power in every aircraft seat, fitting 128 long-haul planes with new interiors and taking delivery of 72 new jets.